Primarily a learning space, we aim to make art/craft accessible to people of all ages, genders, abilities, and backgrounds. Our creativity thrives in diverse environments. We are inspired by a freestyle philosophy--no rules, no mistakes, just joyful creation from the heart. Craft as art, as a personal expression of yourself and your emotions. With a focus on freestyle weaving, we have several prewarped looms and a large assortment of yarn just waiting for visitors to come and play with them. We are available for open freestyle weaving sessions, as well as instruction for individuals and groups. 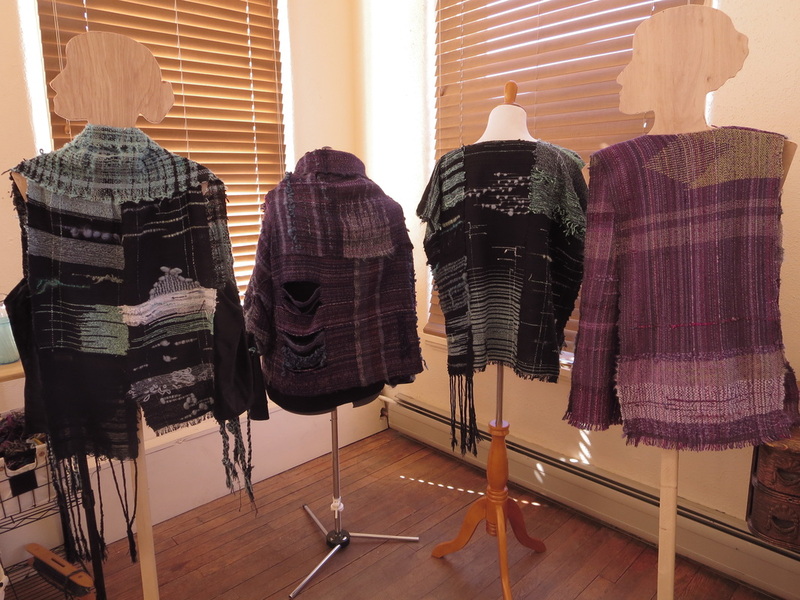 Classes are also available in many other fiber arts and bookbinding techniques. Wendi Kitting Oliveira, owner, artist, and maker, has been making things all her life, from the time she started selling little braids of yarn in the hallway of her childhood home at the age of 7. Since teaching herself to knit at the age of 11, she has had a special interest in all kinds of fiber arts, including knitting, crochet, wet felting, needle felting, bobbin lace, tatting, spinning, kumihimo, cross stitch, candlewicking, applique, fabric printing, and many different kinds of weaving. More recently, she has also nurtured an interest in papermaking, printmaking, and bookbinding. Growing up in Silver City, she mostly had to teach herself how to do all of these things (which was much more difficult in the pre-internet days of her youth! ), so she now strives to make serious craft skills accessible to everybody. ​She recently discovered a freestyle weaving philosophy called SAORI, and it changed her life and her perspective on creativity, igniting her passion for creating like nothing else had ever done before. It espouses the idea that we all, each and every one of us, have an inherent sense of beauty within us. We should nurture that sense of beauty and creativity by joyfully creating with no expectations of perfection; indeed, it is a process that encourages people to create what only a person can create, in all of its imperfect glory--we are not machines, so why try only to recreate what a machine can do? Beauty flows from our differences, our uniqueness, our "flaws." In putting our heart and soul into making a thing, we not only create it, we also continually create ourselves, too. Her ultimate goal is to create a space where anyone can come and find a safe, nurturing space where that vision can be realized. Wendi has a master’s degree in psychology, social work, and English, which came in very useful in her previous job teaching new students at the local university. She has also studied SAORI weaving in Massachusetts and in Japan, where she recently received her Third Grade Certificate in SAORI hand weaving skills. After a lifetime of pursuing a passion for fiber and other art/craft, Wendi finally realized her dream of devoting herself to craft in 2015 and of opening a studio in 2016. 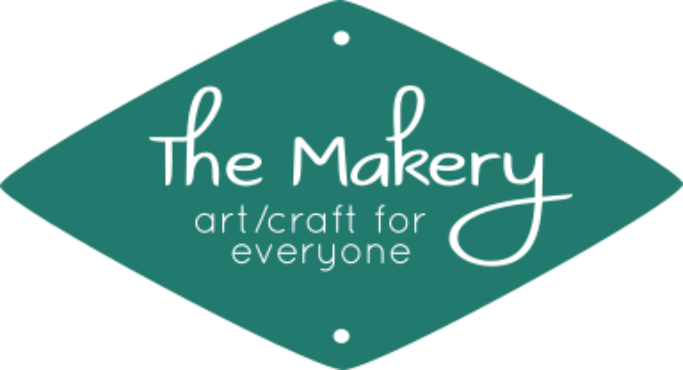 The name "The Makery" stems from Wendi's initial hesitation to call herself an artist, feeling that "maker" was more fitting. Now she feels that the line between art and craft is blurry, and that the things we create with our own two hands (or whatever else!) are each beautiful in their own way, whether it's a classic painting or a well-crafted chair. The Makery celebrates this blurry line between art and craft, and strives to open the world of art/craft to everyone.